DETROIT -- While the Toyota Prius hybrid may be helping to reduce drivers’ carbon footprints, Toyota Motor Corp. struggled to cut its own carbon footprint at some of its North American operations last year, according to the company’s annual Environmental Action Plan. Despite meeting or exceeding 80 percent of the environmental goals it set in 2006, the automaker fell short of targets to cut carbon dioxide emissions at some facilities in the United States and Canada, according to the annual report issued Wednesday. The report said Toyota did not reduce total energy use at manufacturing facilities and operations in North America by 27 percent per vehicle produced, as it had intended, nor did it reduce the energy consumption at U.S. and Canada facilities as planned. The ambitious environmental goals were followed by the economic downturn, the product recall crisis and the March 11 earthquake and tsunami in Japan. But while the company struggled with energy use in North America, it received a strong environmental performance from its Prius. The hybrid topped the U.S. EPA and Natural Resources Canada’s lists of most fuel-efficient vehicles again in 2011, as it has for at least each of the past five years, Knight said. Also due in part to the Prius, Toyota has achieved a 12 percent improvement in Corporate Average Fuel Economy standards for its U.S. car lineup and a 10 percent improvement in the U.S. truck CAFE standards over the past five years. The report covers Toyota’s operations in the United States, Mexico and Canada and includes the Toyota, Lexus and Scion brands. Toyota also has obtained near zero-landfill status at each of its North American manufacturing plants for the last three years, as well as Leadership in Energy and Environmental Design certification at 10 buildings. 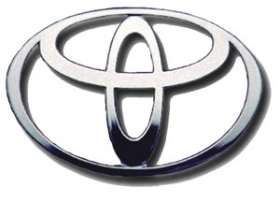 Toyota said 15 Toyota and Lexus dealerships in the United States and Canada also have obtained LEED certification. LEED certification is driven by numerous factors in the construction and operation of a building. Among the factors: use of sustainable sites; water efficiency; use of sustainable energy and atmosphere innovations; reduction, reuse or recycling of materials and resources; indoor environmental quality; and innovation in design.